The outside strings are cut with a mitre to the vertical joint with the riser. The tread has a bead the same size as the nosing returned on the end of the tread. 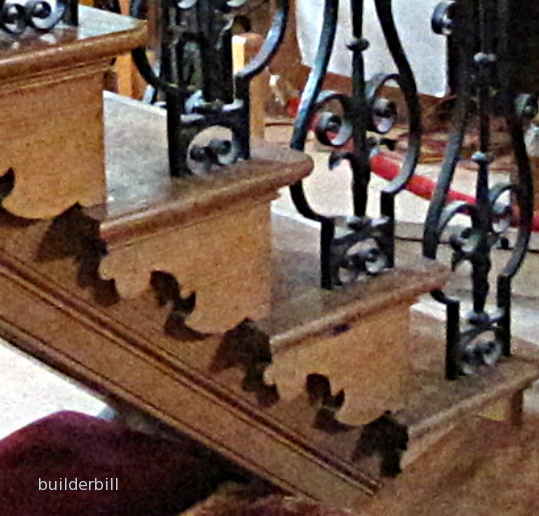 A small decorative bracket that is fixed under the tread overhang to a cut string. It is mitred to the riser rather than the string being mitred. The junction of two strings that are joined with a curve. 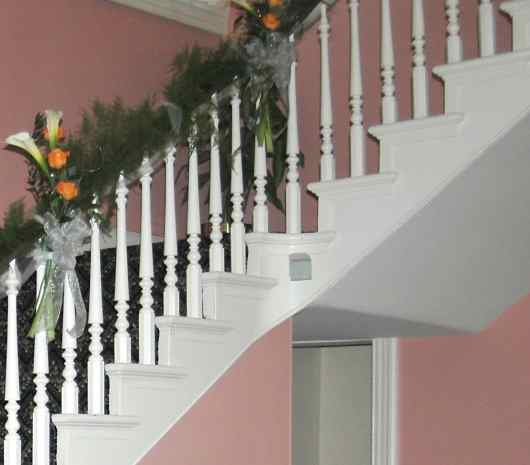 The wreathed one has a curve to it's end that matches the curve of the handrail wreath above it. A cut and mitred string with a wreathed end. The vertical mitre joint is between the riser and the bracket, rather than the riser and the string. The smaller pieces are easier to mitre and fit than the larger strings. In the event of a mistake they are less work to replace. 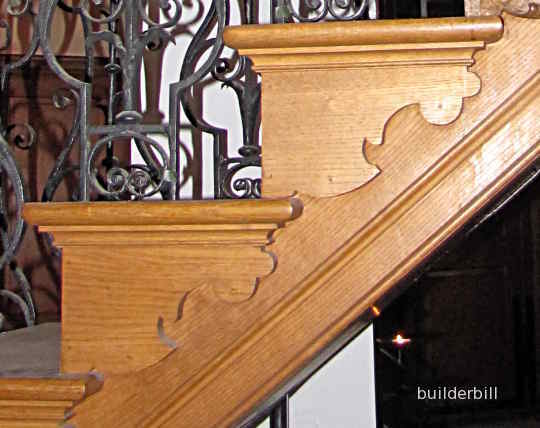 The treads are notched for the balusters and a return is put on the end of the tread, usually supported by a small moulding. In this case it is a small scotia. This moulding can in turn get better supported by the bracket. Another shot of the same stair (unfortunately without flash this time) showing the end of the tread and giving a better ides of the thicknesses of the members.